We have two fillies so far born 24 hours of each other and such a fun thing kind of ying and yang, one is blue roan and the other palomino. 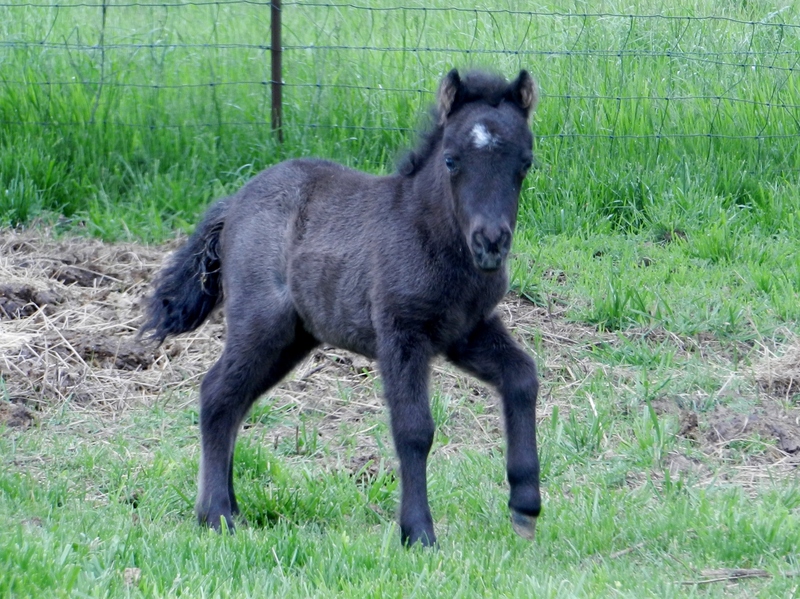 Blue roan filly born 4/17/15 and was 21 1/2" tall, looks like she is going to be a 33 to 34" tall mare. Her dam is Avalon Farms Roan Angel, her sire is Olympian Magic Charade. Since her sire is LWO+ I am guessing she will be also even though she didn't get spots. She has overo breeding behind her on both sides. We haven't picked out a name yet. Thought I was going to sell these girls but my husband has talked me out of it. She will be AMHA and AMHR registered. 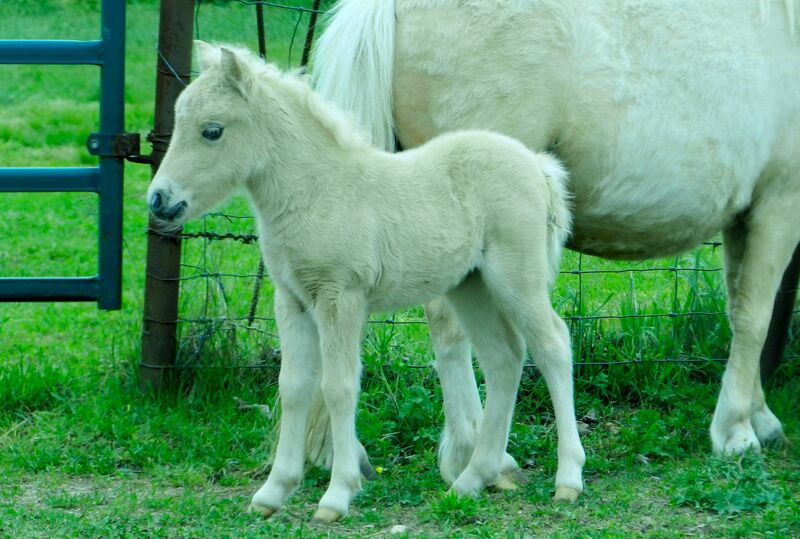 This is our little palomino filly born 4/16/15 and was 20" tall at birth, I am guessing her to mature about 32". Sire is Olympian Magic Charade and dam is Avalon Farms Shake Gold. Her dam is the daughter of my favorite mare Spragues Billy Joyce aka Shake and her dam's sire is Horses Ltd David (lil man) I don't really like palominos, but seem to be collecting quite a few and looks like I will be adding another one LOL. Born on 7/4/15 a tiny black filly. Dam is Kay's MLF Spanky buns and Sire is Olympian Magics Charade (Chip). She is so very refined and a real character.